The primary motivation behind Donald Trump's decision to pull out of the 1987 Intermediate-Range Nuclear Forces (INF) Treaty is that China is not a participant of the pact, says Rajeswari Pillai, senior fellow​ and head of the Nuclear and Space Policy Initiative​ Observer Research Foundation. According to him, once Washington withdraws from the treaty, "[it] is likely to develop new intermediate range missiles primarily to counter China". Meanwhile, Business Insider reported Tuesday, citing the National Nuclear Security Administration, that a new low-yield W76-2 nuclear warhead requested by the Trump administration had entered production amid the US-Russian spat over the 1987 agreement. For its part, The Guardian noted that the Trump administration's nuclear posture had "blurred the line between the use of conventional and nuclear weapons" and warned about "a new arms race gathering pace". "There is clearly a lack of general trust of Russia among the Western countries. That possibly explains why the NATO countries did not attend the Russian presentation", Pillai suggested. On 16 January, Washington announced that it would start the pull-out process on 2 February, citing a lack of "Russian compliance" with regard to Moscow's ground-launched SSC-8 cruise missiles (Russian designation 9M729). Russia vehemently rejects the accusations, stressing that the much-discussed weapon fully complies with the provisions of the agreement. It will take around 6 months for the US to withdraw from the bilateral pact. On 23 January, Russia unveiled the 9M729 missile at a briefing for foreign military attaches. According to the ministry, military attaches and representatives of the CSTO, BRICS, EU and NATO military-diplomatic corps, as well as some other European and Asian countries, were invited to the event. However, American, British, French, and German, as well as EU and NATO, representatives never showed up. 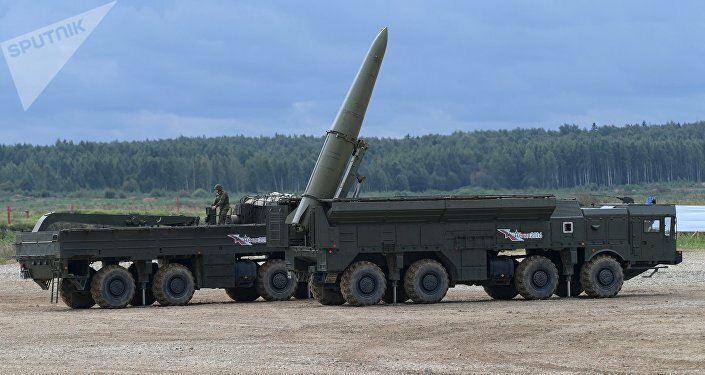 During the briefing, head of the rocket forces Mikhail Matveevsky officially stated that the modernised 9M729 (SSC-8) missile has a range 10 kilometres shorter than the older version, which means that its range has been reduced to 480 km (298 miles). Thus, it meets the requirements of the INF Treaty, which bars Washington and Moscow from possessing, producing or testing ground-launched nuclear cruise missiles with ranges between 500-1,000 kilometres (short-range) and 1,000-5,500 km (intermediate-range). Still, according to Pillai, in the eyes of NATO officials, 10 km do not make a huge difference: "Missile ranges can always be adjusted", she noted. 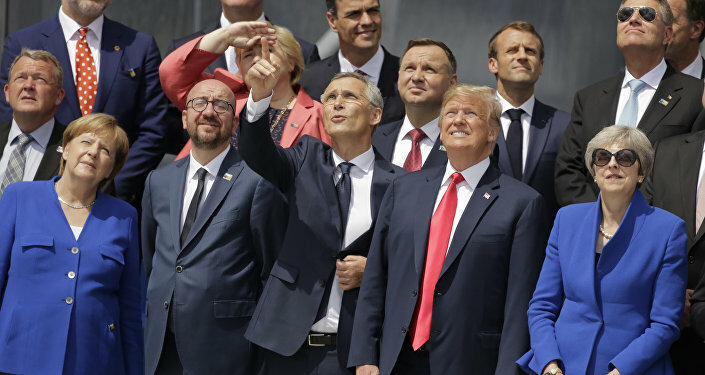 For his part, Paul Poast, assistant professor of political science at the University of Chicago, believes that "the INF suffers from the same problem as all arms control treaties: compliance". "It is very difficult for states to adhere to any type of treaty arrangement — trade, investment, environmental — let alone one dealing with something as fundamental as the arms of a state", the professor said. "The INF Treaty is especially susceptible to 'cheating' because, as written, it was dealing with a very specific type of nuclear weapon". To illustrate his point, the academic cited two articles of the treaty: "For instance, Article II of the treaty uses a variety of terms that are 'flexible' in meaning: What does it mean for a missile to be ballistic for 'most' of its flight path? What does it mean for something to be on a base where it 'normally' operates? Or take Article III. Given the ambiguities in Article II, Article III sought to 'name, names' by explicitly calling out certain missiles (i.e. Pershing II). Those names were relevant at the time, but not in the decades since". According to Poast, these ambiguities allow the parties involved "to use the treaty however they wish". "Both NATO and Russia can each claim to not be violating the treaty, even if they take measures that, to an unbiased observer, look like violations (at least of the INF's spirit)", he emphasised. In October 2018, US President Trump accused Moscow of violating the INF Treaty and vowed to withdraw from it. In December, Secretary of State Mike Pompeo signalled that Washington would pull out of the pact within 60 days unless Russia returns to full compliance with the agreement. While the US refers to the 9M729 as the bone of contention, Moscow denies the accusations, citing the deployment of launchers for Tomahawk cruise missiles in Eastern Europe by Washington, which is prohibited by the treaty. The views of the speakers do not necessarily reflect those of Sputnik.